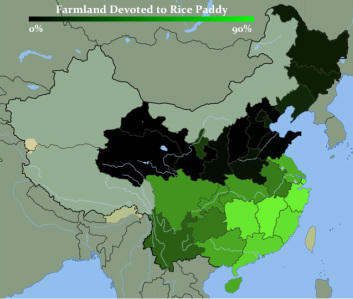 I argue that rice and w﻿heat agriculture have given northern and southern China two very different cultures. Rice requires irrigation networks and about twice the number of man-hours as wheat, which gives rice farmers an economic incentive to cooperate and avoid conflict. I argue that this can explain the large cultural differences between northern and southern China. Read the original article or write-ups in the National Geographic and The Economist. See the TedX UVa talk. I tested liberals and conservatives with measures of East-West cultural thought style and perception. I found that conservatives in the US thought more like East Asians, and liberals thought like extreme Westerners. The same was even true in China. Shige Oishi and I study how moving makes us and our communities different. For example, people who have moved more tend to be more individualistic, donate less to the community, and think more analytically.